I have a weakness for French fries and I will admit I have been know to sit at the bar at Red Robin and get bottomless fries. I usually max out at 3 helpings for fries with honey mustard when it’s been a bad day. This recipe is a great alternative to the deep fried goodness of the white potato. 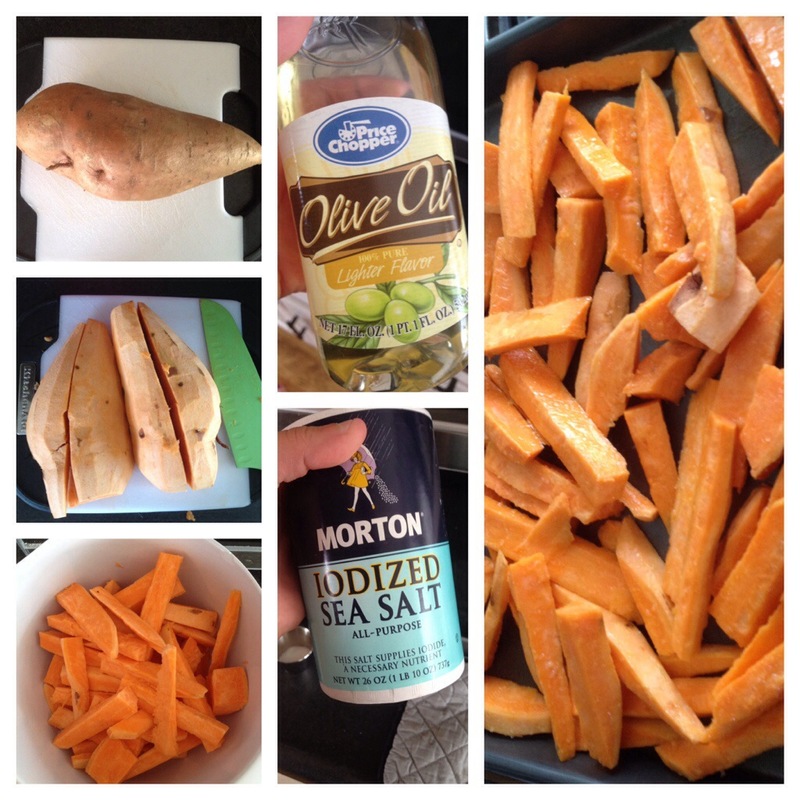 Sweet potatoes are dynamic and can be made into a bunch of things. Sometimes I like them made up sweet and mashed and sometimes I like them salty. A large potato makes enough for two people. Depending on your oven and if the temperature is off, you may need to keep them in longer or less. These seem so delicious (and simple)! And I do love my fries (especially after a long day), so next time I’ll try these instead!